Mr. Bismarck Rewane serves as the Managing Director and Chief Executive of Financial Derivatives Company Limited. Mr. Rewane joined the First National Bank of Chicago in 1976 as Deputy Manager (Credit). He began his banking career with Barclays Bank, UK, in 1973 and moved to Barclays Bank of Nigeria in 1975. 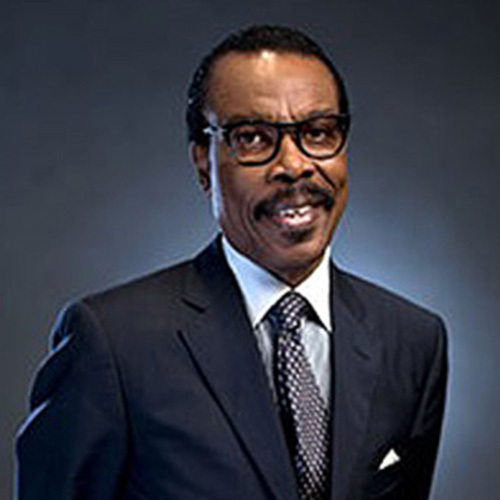 Mr. Rewane joined International Merchant Bank Nigeria Limited in 1981 where he served as General Manager until 1996. He has been an Independent Non Executive Director at FCMB Group Plc (formerly, First City Monument Bank Plc.) since 2002. He has served on the board of Lion Bank of Nigeria plc and Intercity Bank of Nigeria Limited. He serves on the boards of Top Feeds Nigeria Limited and Delta Packaging Nigeria Limited. Mr. Rewane has addressed many professional and business gatherings on subjects such as foreign exchange management, liability management in a deregulated economy, tools of money market analysis and techniques of investment in public debt instrument. He obtained a B.Sc. degree in Economics from the University of Ibadan in 1972 and became an Associate of The Institute of Bankers (England & Wales) in 1975. He completed the Barclays Bank International Graduate Training Programme at West London University. 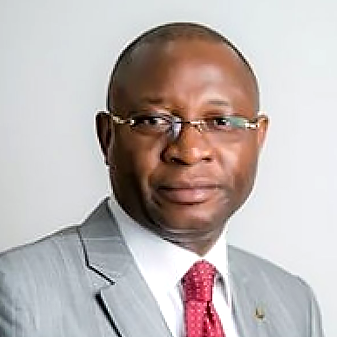 An Economist/Banker, Adekunle AbdulRazaq Oyinloye is the Managing Director/CEO of The Infrastructure Bank Plc. He was admitted into the Honours Roll with a BSc degree in Economics, AhmaduBello University, Zaria (1988), and also holds two postgraduate degrees in Banking & Finance (IBADAN, 1997) and Economics (UNILAG, 1999) respectively. He is also an Executive Graduate of Columbia Senior Executive Program, Graduate School of Business, Columbia University (2012). His banking sojourn began with SocieteGeneraleBank Limited, 1990, and later joined the services of Access Bank Plcin February 2000, where his resourcefulness marked turning points in the lives of a good number of branches. He left Access Bank as Senior Manager to set up the Network Credits Department of Global Bank Plcin August 2002. He was invited to join the Re-engineering Team of Management of Pacific Bank in January 2003 as pioneer Head, Credit & Marketing Banking Group. He rose to become General Manager and Divisional Head, Credit & Marketing, Pacific Bank Limited. He impacted significantly on the repositioning efforts of the management of the Bank before its strategic merger and transformation into Unity Bank Plc. 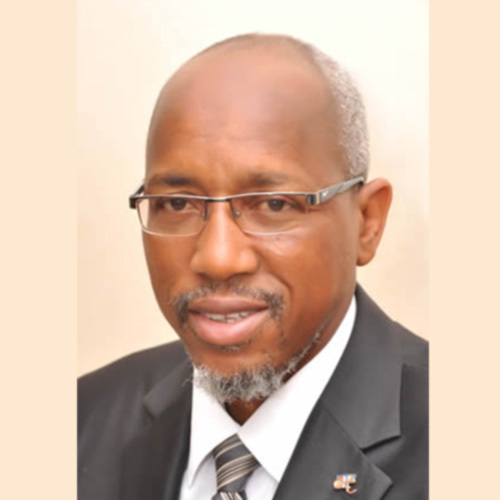 He was a key member of the Steering Committee of the Unity Bank In-Formation, and upon legal and regulatory certification of the new Bank, Adekunlewas first appointed as Executive In-Charge, SocietteBoncaireLimited and subsequently, a key member of the Transition Management Team of the Bank of the North Limited (BON). He was later to be appointed onto the Board of Unity Bank Plc, first as Executive Director, Corporate Banking and later, Executive Director, Lagos and South West, before assuming his current responsibility in November, 2010 on a turn-around mission as the Managing Director/Chief Executive Officer of The Infrastructure Bank Plc. Mr. Kasimu Garba Kurfi serves as Chief Executive Officer and Managing Director at APT Securities and Funds Limited. Mr. Kurfi heads the management team of APT Securities and Funds Limited. Previously, he was employed at New Africa Merchant Bank Plc from 1992 to 1994, from where he was seconded to Newdevco Finance Services Company Limited from 1996 to 2002. Previously, he was employed at African Petroleum Plc as an Internal Auditor from 1990 to 1992. Mr. Kurfi started his career as an Accountant with the Ministry of Finance, Katsina, from 1988 to 1990 from where he was deployed to the State Ministry of Education. He serves as the Chairman of APT Pension Funds Managers Limited, Clayberg Limited and APT Beurea de Change Limited. He serves as the Chairman of Mass Telecom Innovation Limited. He serves as the Chairman of MTI Plc and MIMAC Resources Limited and also a Director in urban Development Bank of Nigeria Plc, APT Pension Funds Managers Limited, Clayberg Limited and APT Beurea de Change Limited, among other companies. His working experience spans over 20 years covering the public sector, oil and gas, financial services / stockbroking industry. In the course of his career he was exposed to various aspects of management, accounting, the money market and capital market. He is also an authorized Dealing Clerk of the Nigerian Stock Exchange. He serves as Non-Executive Director at The Infrastructure Bank Plc. He has been involved in a number of strategy, corporate finance and advisory engagements for clients in Nigeria and abroad. He was a Council Member of The Nigerian Stock Exchange, a Fellow Member of the Institute of Chartered Accountants of Nigeria (ACA) and a Fellow of Chartered Institute of Stockbrokers (ACS). Mr. Kurfi holds a B.Sc. in Accounting, 2nd Class Upper, from Bayero University, Kano, in 1987 and M.Sc. in Accounting from University of Lagos.